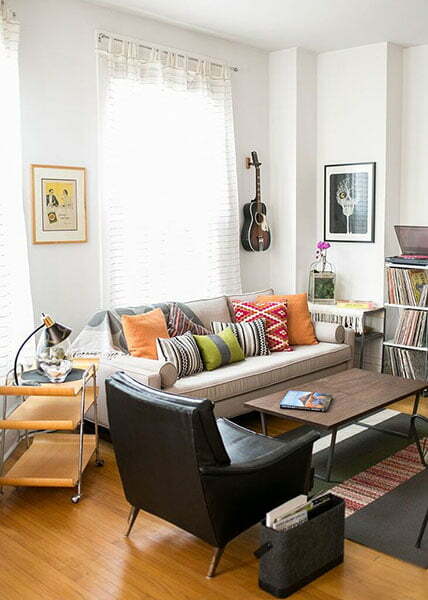 Small Living Room – Living room is the area in your house, where you can feel the relax most. In this room, you can spend most of your time relax, having fun with your family and friend, and you can even do your hobby here, such as playing game or watching movie. Unfortunately, that great functionality can be easily applied, if you have living room with big size. For living room in smaller size, you have limited option for the design ideas that you can use. However, don’t get confused about how to remodel yoursmall living room because there are hundreds of cool ideas that make your living room looks great. Here, there are some of living room decoration ideas for small living room. These ideas will help you to create the best living room, even though it has smaller size. Just check it and apply your favorite one! 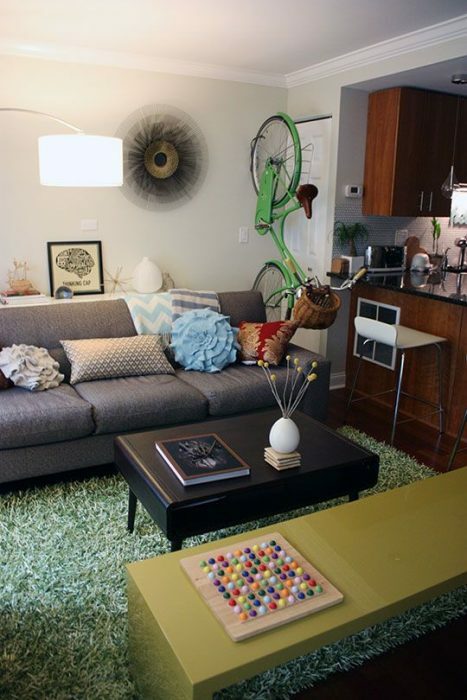 Try to play with colors because it makes the small living room looks larger than the actual size. Colors can also build cozy ambient in a small area. Let say, you can use white for the wall, curtain, and sofa. Then, choose some soft and contrast colors such as pink, green, and light purple. Apply those colors for sofa pillow covers, rug, or any kind of accessories including candle or flowers. The key is not using too much color and pattern so it doesn’t feel too crowded. Choosing the right sofa or chair is always difficult to do if you only have a small living room. Actually, you can handle it well by creating clear separator. Let say, you can put a rug for the living room area. Then, find the best sofa and chairs based on the size of the area which has been covered by the rug. Next, you use the rest of the area for different room such as working area. The picture shows that you can put sofa, chairs, wing chair, and pillow chair in a small living room and you still get comfortable area. 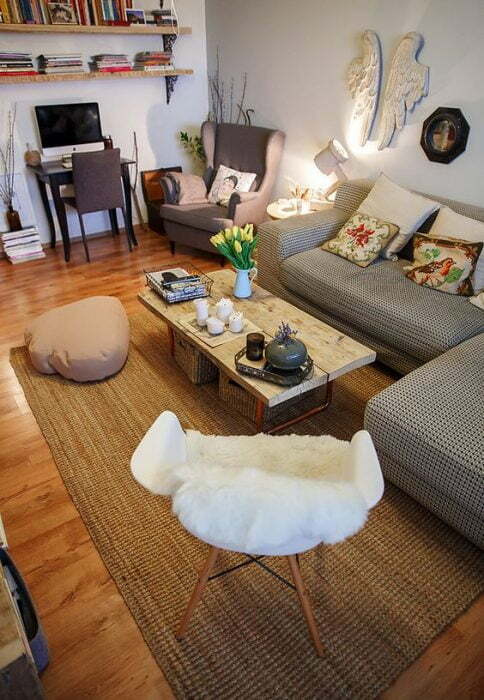 Try to apply Scandinavian style for your small living room. Scandinavian style tends to play with soft colors and texture of the materials. Let say, you can put a small black sofa, a pale yellow wing chair, an arm chair with armrest with fur material, and a round stool. Mix it with black and white rug and round white table. It seems that you feel something different anytime you see the living room from the different angle. Just make your small living room with floral home design. You don’t have to use real plants only to remodel the room into floral theme. 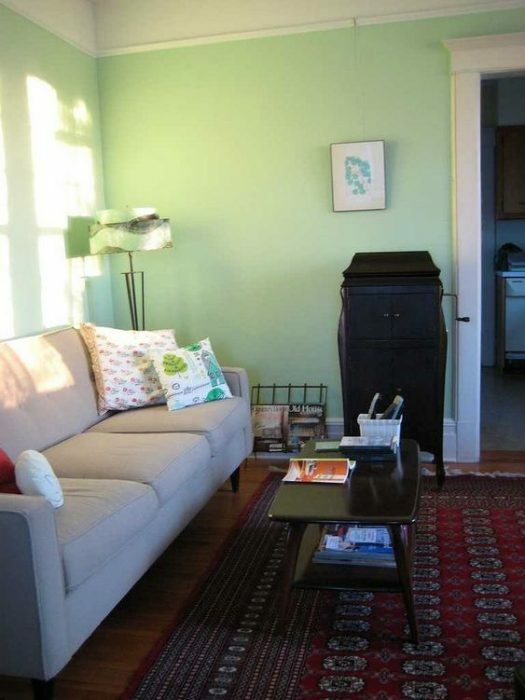 You just need to apply green rug and it looks like grass. Mix it with black and straw tables and sofa. The interesting part is playing with pattern on the pillow covers. Just take floral pillow covers such as a cover which look like a flower. Installing a hanging lamp with drum lampshade is also perfect to build the atmosphere. It’s comfortable, isn’t it? 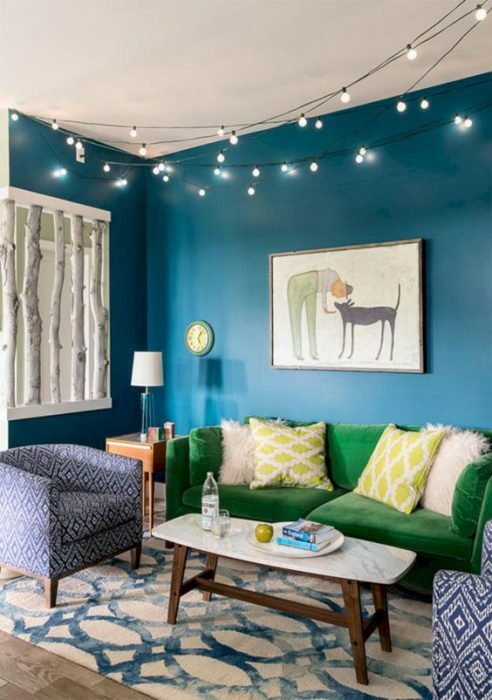 Besides playing with colors, you can also playing with patterns while decorating a living room. Just start it by applying neutral colors such as black, white, or cream as the base color. Apply it for the wall or the sofa. 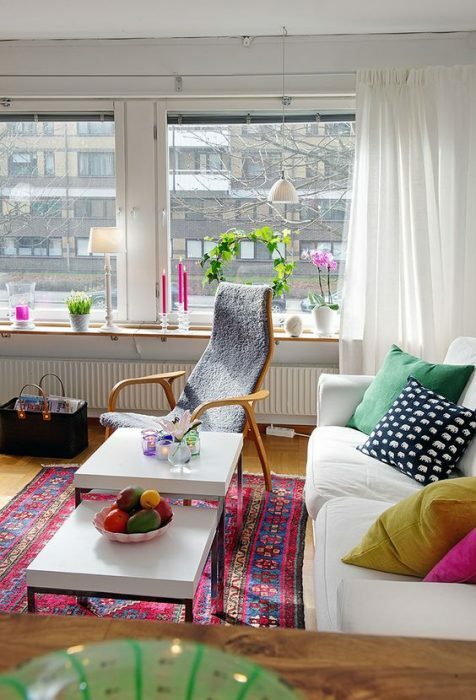 Then, cover the floor with colorful and patterned rug. Strengthen the pattern by choosing patterned sofa pillow covers. 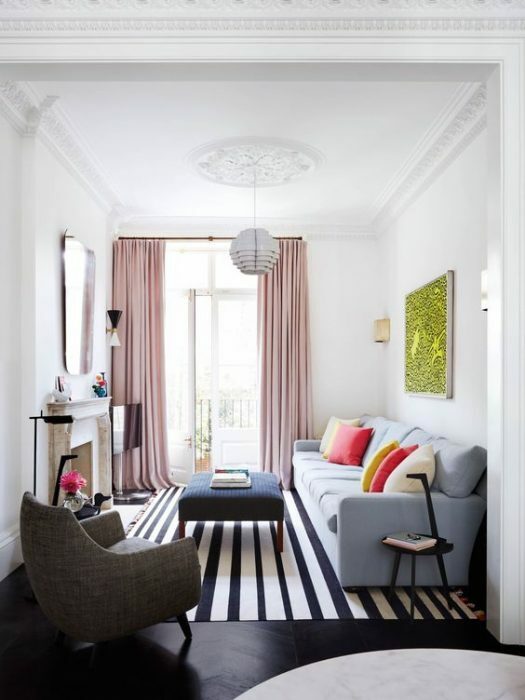 Stripes and square patterns can be a simple pattern but it looks great for your living room. Make the room complete with glass table and wooden bar table. 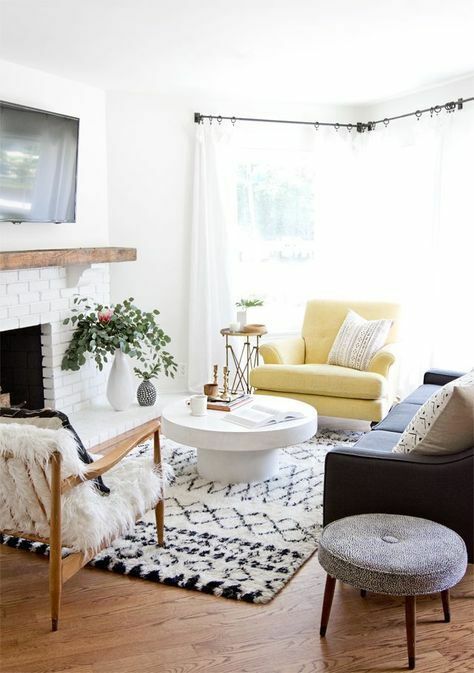 Don’t use too many bright or bold colors for a small living room because it makes the area looks crowded. Instead of using it, just apply soft colors such as pale yellow and white. 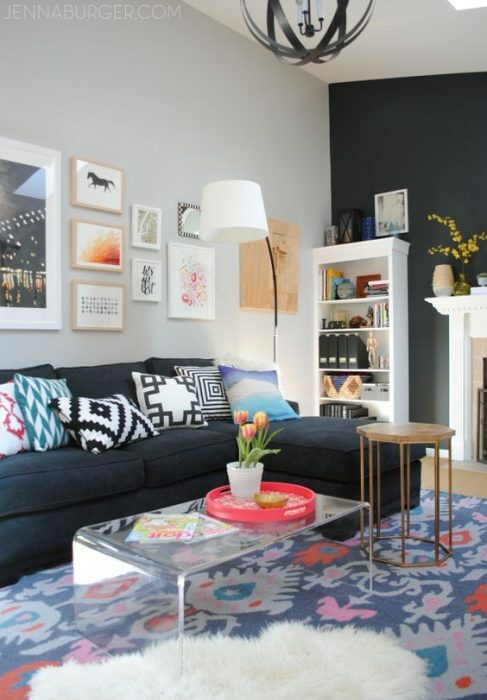 You may add a little bit bold color to balance the area such as putting a black sofa. In fact, combining soft colors is a great option for those who want to create Scandinavian theme on the small living room. You just want to keep a classic living room at home? Just make sure that you do it perfectly. The key is balancing the things there. For example, there is soft color for the wall and the sofa. Then, you also need to add darker colors such as for the table, rug, and shelf. Don’t forget to give pattern for variation and it is possible to do on the rug and the sofa pillow covers. It’s really classical but it is more comfortable than before. It is possible to apply contemporary style on your small living room. You just need to paint the wall with white as the base color. Next, try to use black and white rug. Make it outstanding by adding light grey sofa long with yellow, red, and white pillow cover, pinky beige curtain, and medium gray wing chair. The colors are useful to balance and make the room looks fresh. Blue square table and floral painting is also a good accessory for a perfect contemporary living room. 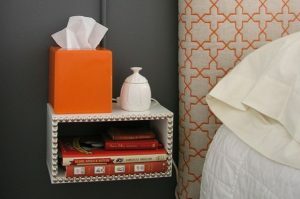 Pattern is important because it helps to strengthen the room. You may apply the simple pattern but it works well to make the living room looks cozy and neat. White curtain with black spots is a good start and you can do more by adding black rug with spots. Just apply the stripes pattern on the sofa pillow covers. 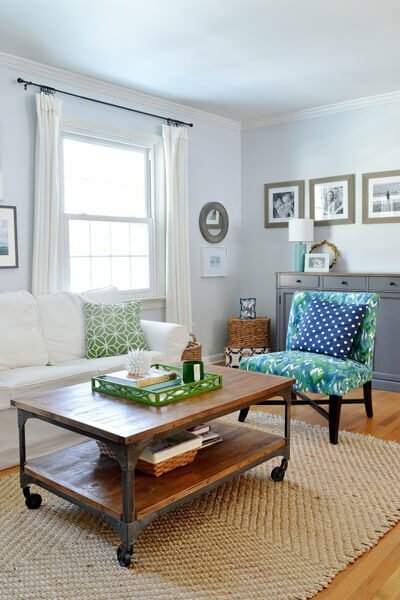 To balance the room, use plain colors on the sofa, table, shelf, wall, and additional accessories. That’s enough to make a small living room looks neat and eye catching. Country style is also a great style because it doesn’t use too many colors and patterns but it works well to create a cozy living room. 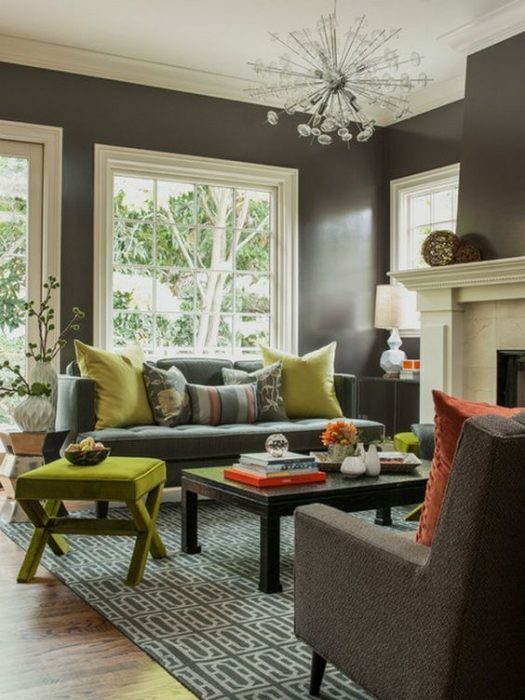 The image shows that you just need to combine dark gray, green, and cream only to create a great country living room. If it is possible, just put the living room along with large windows. Let the windows without curtain so sunlight can pass through the living room. You have a warm country living room now! Do you love to see nature and want to bring the idea into your living room? That’s cool! 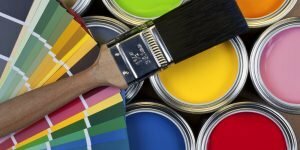 Just start it by applying natural colors such as blue, green, white, and black. Apply it for the sofa, table, wall, and any kind of accessories there. Add a natural painting and the unique one is on the use of old tree branches for window frames. Indeed, you have a close to nature living room now. Chalet living room is a favorite theme because it feels warm and comfortable without loosing the neat ambient. 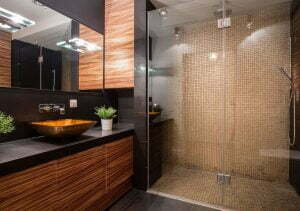 The main characteristic is on the use of nature materials including wood, stones, gravel, rattan, and many more. 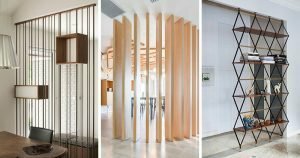 Try to apply a table made of wood bars, wooden armchairs, and swivel chair on the living room. 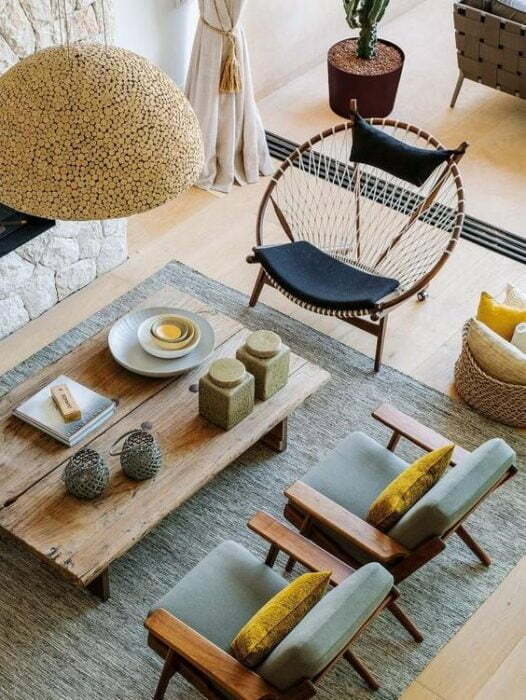 Then, add some accessories including rattan basket and a hanging lamp with bell lampshade which covered by gravel. Just strengthen the area with a fabric rug. If you love to play with pattern, you can just take Mediterranean style for the living room. 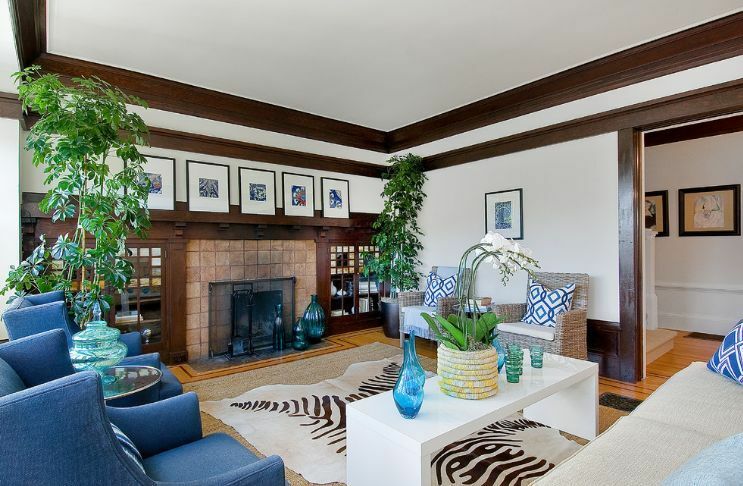 Patterned blue rug and pillow sofa cover are perfect to support this style. Even, you can hang a painting or any kind of artwork which close to the theme. 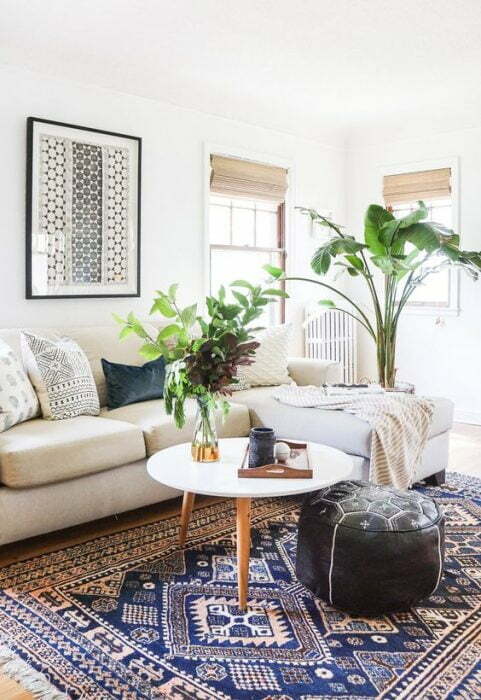 Banana tree or palm tree are two perfect plants if you want to create fresh Mediterranean style on your small living room. Traditional living room is enchanting because of its simplicity. 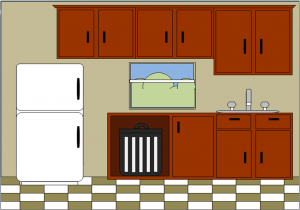 In this case, you just need to use white and wooden color, and gray. Those base colors can be mixed with specific floral patterns. The best part is the two parts table which also has a roller there. 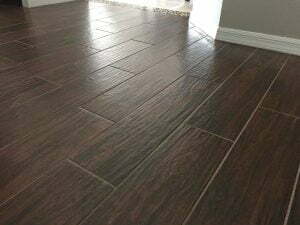 It looks perfect along with a rug which has strong texture. So, traditional is not always bad, right? Modern living room offers cozy place and it is what people love about it. To follow the style, you just need to apply a base color sofa such as cream sofa along with black armchair. Then, play with bright colors and you can get it from the pillow covers.